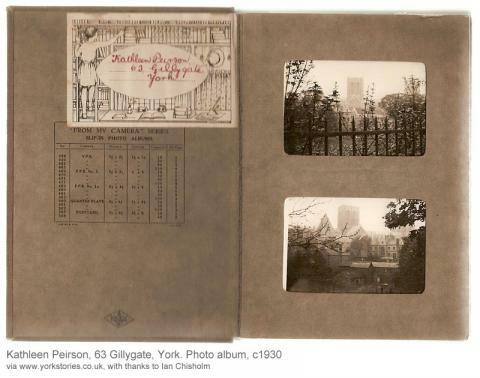 The first page of the album is photos of York Minster, taken from the city walls. Well-known views now. 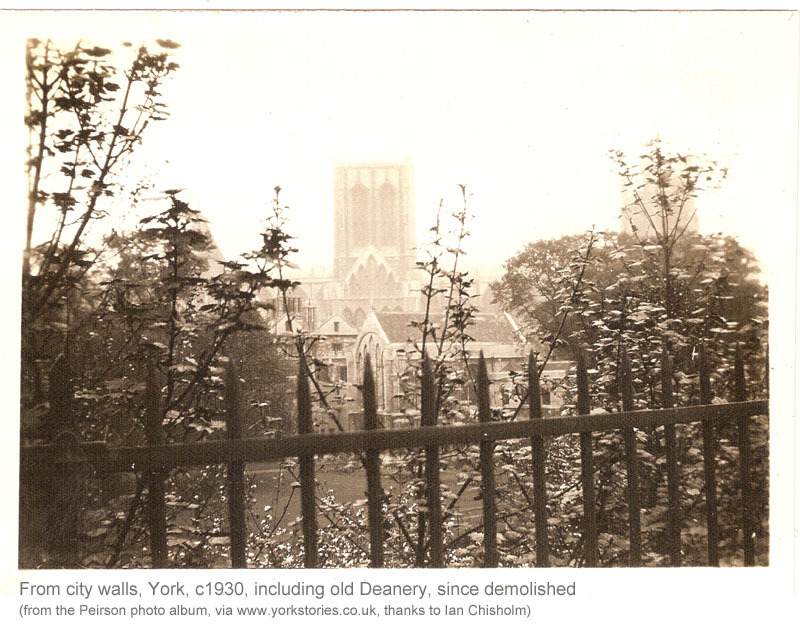 Since this walls walk opened in the late 19th century generations of visitors and residents have tried to capture the splendour of the scene, looking over the Minster precincts. When I looked at this photo I was a bit confused, initially, by the buildings in the foreground, and in particular the grand-looking one to the right, near the north transept of the Minster. I wondered if trees now obscure all this. But unless I’m very much mistaken, these photos show the old Deanery, demolished in 1938. The city archives have many photos of the building, which once took up a large area of what we now call Dean’s Park. 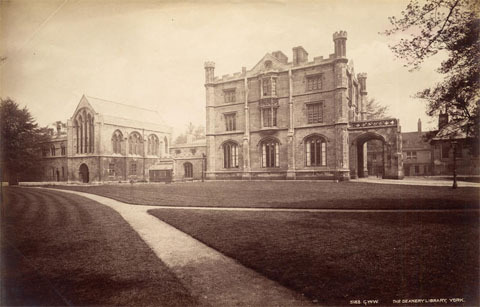 And as I now have permission to use these © City of York Council photos, I can share this one with you, of the Deanery in the late 19th century. Another of Kathleen’s photos from the walls. 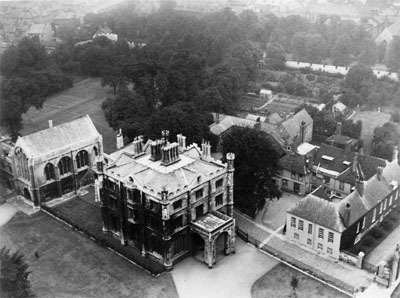 The Deanery is rather hidden by trees but its chimneys and roof are visible behind and to the left of the Minster Library. The Deanery was built in the late 1820s, and according to the notes accompanying the photos in the online archive, at the time it was very up-to-date, with its own hot water system. The architect was J P Pritchett, who designed many other York buildings of note, including the chapel at York Cemetery. All of us amateur photographers will have taken photos like this, where a railing or some other less attractive feature is rather more dominant than was intended. But Kathleen didn’t want to throw it away, because in those days photographs were far more precious. And when she looked at it she was reminded of what she had seen and wanted to capture the beauty of. Perhaps the blossom on the tree as much as the Minster. I am of course imagining a background ’story’ to these photos. We don’t know that Kathleen Peirson took them herself — another family member might have taken them. These photos, to me, have more meaning than many of the professionally taken photos in the archives, because they were taken by someone doing what so many of us do now. Just that in the old days you had to wait for your photos to be developed and printed. Then you stuck them carefully in your album, which you perhaps added your name and perhaps your address to as well. If you did, it helped people of the future, though you wouldn’t have been able to imagine how that would come about. You couldn’t imagine this thing called the internet or that one day far in the future your son would be looking online to find out more about this street called Gillygate, would find pages about it on this website, and would then be able to email a digital copy of the photos you took, back to a computer in York, for me to share with other York people, and, indeed, the world. 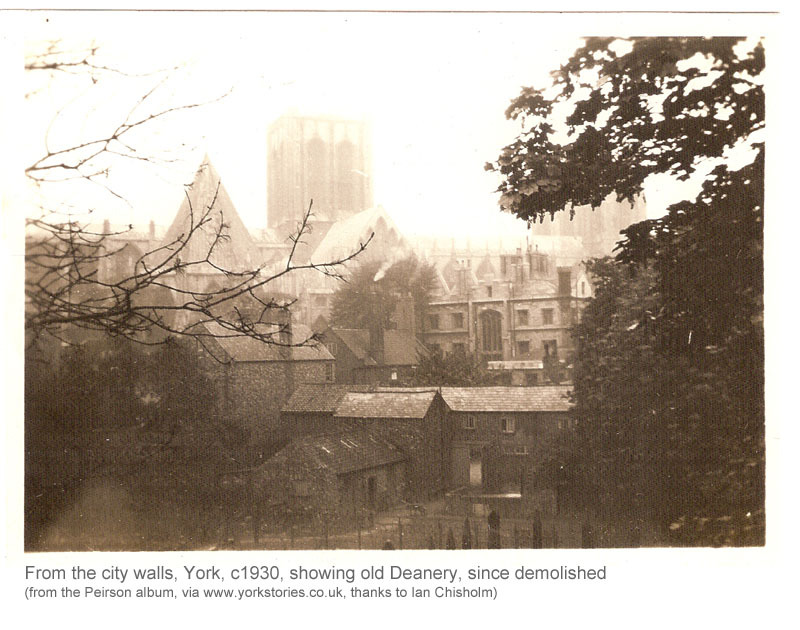 To end the page, another photo of the Deanery, showing its location clearly, taken from the Minster. Photo from www.imagineyork.co.uk, © City of York Council (larger version here). Parts of the city wall where Kathleen walked are visible in the gaps between the trees in the background. 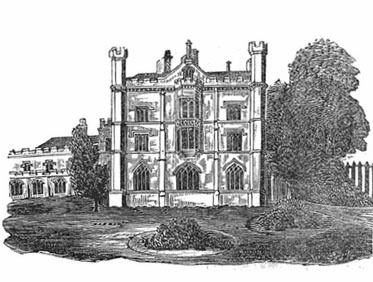 ‘A large and handsome building, of the Tudor style, which was designed by Mr. Pritchett, architect, of this city, by order of Dr. Cockburn, the dean. The foundations were laid the latter end of 1827, but soon after it was covered in, the fire at the Cathedral put a stop to all the works for about twelve months, and the building was not completed till near the close of 1831. Didn’t exactly ’stand through ages’, did it. If any readers have information on its demolition in the 1930s, please add a comment. 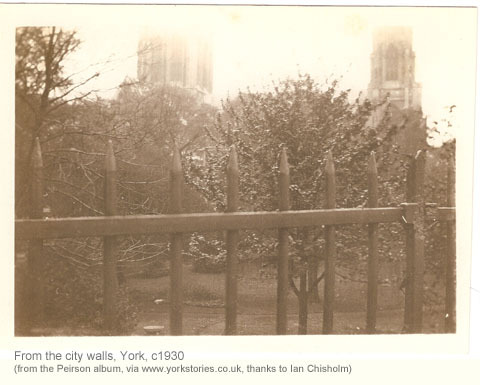 By Lisa @YorkStories • 25 July 2013 Histories To link to this page's proper location please use the > permalink. Thank you for posting this, it’s amazing! I splo wish I could time-travel so I could see all the lost parts of York first-hand. I expect one day, future generations will be saying the same of the time we are living in!